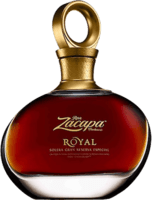 Have you found an online vendor selling Ron Zacapa Straight from the Cask Special Edition? 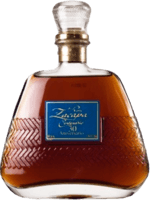 Ron zacapa 23 years is a magnificent rum , perhaps the best solera I know, but "straight from the cask".... oh man this is something else! The alcohol is more from the normal edition as I can see from the label. From the dottle you are suspicious about the content. I can see the signature of master blender, the bottle series number, also the trademark of zacapa straw bracelet is darker and has better quality from the ordinary. In the snifter glass I can see the darker color and the full body of the spirit, now my first impression that is something else from the ordinary is confirmed as I give some time to the spirit to bring all the aromas up. I can see in the nose melassa, walnut cream, dried fruits, I proceed in the mouth and I feel in my mouth the full body of the drink, honey, walnut cream,coffee, banana, cloves,in the end my tongue has vanilla ice cream. Even when I drink the sample my mouth had the taste about 12 seconds after! Enormous rum, I tried ron zacapa xo, 23 , nothing compares with this treasure! Worth every penny. This is really something Special. Was proud owner of a bottle, now it's empty... time to organise the next one :-) one of the best rums i had - all time - no nonse great taste keeps your mouth busy for 5 minutes. I had great expectations, trying this SFTC expression from Zacapa. I found it however, to be like sirup, way to sweet for my taste, and with a bland taste, that led my thoughts 10 different rums in the same style. This rum is not indistinguishable enough from other sweet high-end rums, to be worth the high price. A piece of history, lots of power with a delicate sweetness and softness. This Rum has it all. Well balanced with great taste and great balance. The best rum I've tasted so far. This not like the 23 solera edition..!! Buy it if you find it, very rich in the nose, molasses, orange peel, vanilla, oak. Mouth so complex and smooth, sweet yet very spicy and so much more than the 23 solera. Aftertaste is long and so balanced and just keep on coming. Hitting the palate the syrup is a bit dominating. It does change quite a bit within the first few seconds. After the initial sweetness, it evolves into a more complex and balanced experience. Along with the syrup, I got ripe bananas, soft oaks and cloves, encased in a nice, rich, fruity wrapping, which I could only identify as canned pears. Just to spice everything up, it treated me with a touch of menthol. This is an amazing run. The best I tasted so far. The taste is so good that you will keep tasting it. This Rum is one of my favorites. Must be experienced to know why This Rum is a favorit world wide! Tolle Aufmachung ,einzeln nummeriert und persönlich von der Zacapa Masterblenderin Lorena Vásquez signiert. Das wird mal eine Top Sammlerrum,obwohl er noch recht problemlos zu bekommen ist hat er schon Kultstatus in der Sammlerszene und ich bin sicher dass dieser Rum in einigen Jahren heute nicht vorstellbare Preise erzielen wird. Für mich persönlich auch eine Geldanlage ,ich kaufe unterhalb 200 Euro was ich kriegen kann. Another one I tried while in the Navy. I could taste the molasses, vanilla, and orange peel. I can see this one being addicting. Insane power, long-lasting aftertaste, sweet and powerful ! The balance is fragile but you hardly find better. A true marvel in my opinion. I'll try not to drink it too often. Might never get the chance to buy a bottle. look at the title. a sweet rum with the strength of alcohol. spicy, wooden, sweet. in other words: too sweet, too spicy, too much wood for the generic taste. the most imbalanced zacapa. for this thumb up. for my taste its a sweet overload. Was lucky enough to come across this bottle by chance while I was in Jamaica years ago, the only one on the shelf and I have never been so happy with an impulse purchase. This was my first experience with zacapa, have had other since but I sincerely wish I could find another bottle of this. This one is more raw than common Zacapa 23yo, limited edition with punch of wooden barrel. Toffee, spice, sugarcane, honey, sherry, and oak. A very nice rum; similar to the Zacapa 30, but just a tad sweeter and stronger. Super duft, super fed i konsisten. Smagen er fantastisk, sød, behagelig og mangfoldige. Man kan godt smage Zacapa familien. The nose is full and sweet with clear notes of figs, vanilla, marzipan and barrel. After it's been breathing a bit in the glass there's aloso cherry notes emerging. The palette offers a big, clear sweetness composed of cherry, marzipan and candied figs with a long, lightly spicy and sweet, fruity finish. I had high hopes for this rum as everyone rates it highly. Though it's good and very special, I find it perhaps a bit to sweet and one glass is enough for me. This is one of my top 5 rum. Simply a Perfect rum. And I've just finished my bottle. Gutted. Cask Strength 45% bottled in 2005, great depth, complexity and sweetness. Have with an ice cube to dial down the strength a little and savour the flavour.